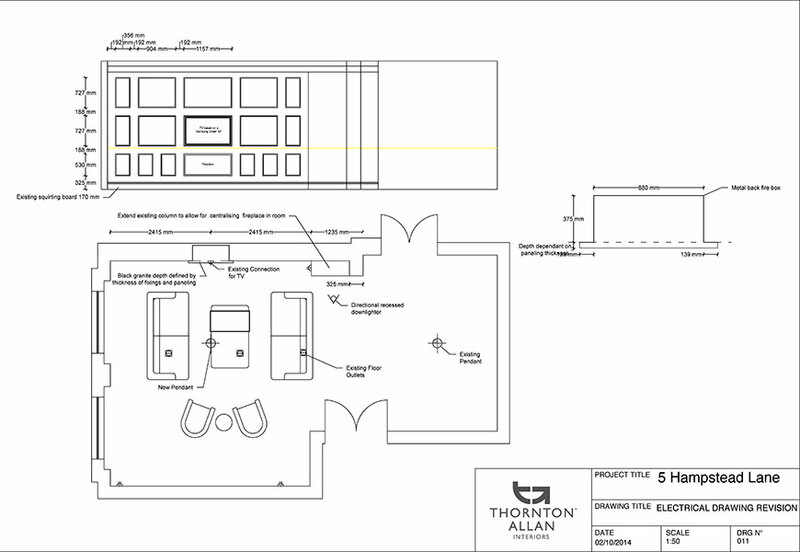 The client had been struggling to create atmosphere and comfort in their formal living area and family room. 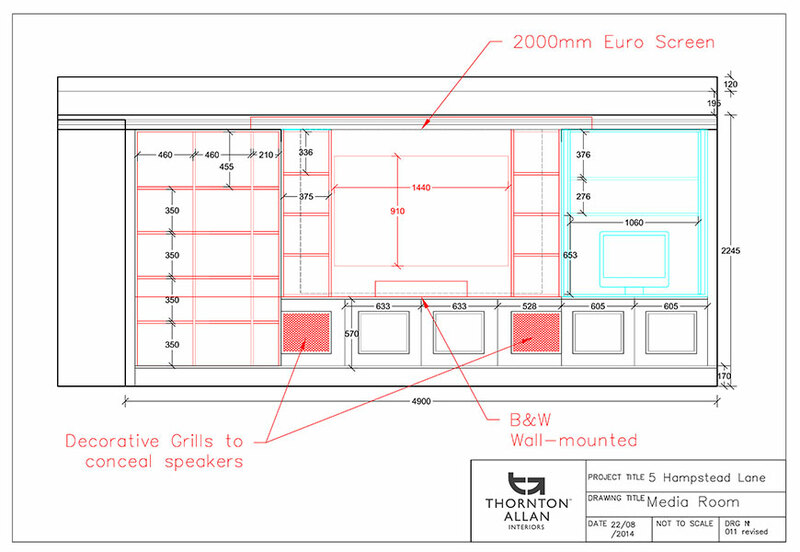 Our solution was to add back many of the features that had been removed from the property but with a contemporary edge. 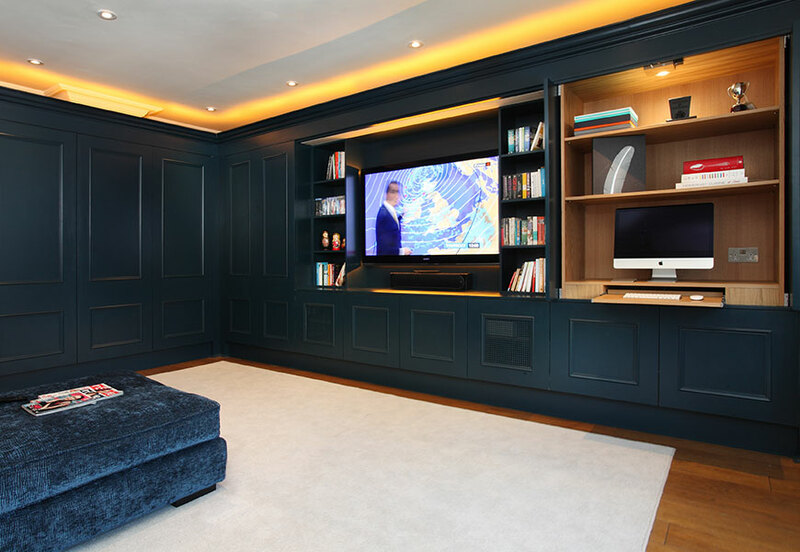 For the family room we designed bespoke wood panelled units incorporating clever storage solutions. 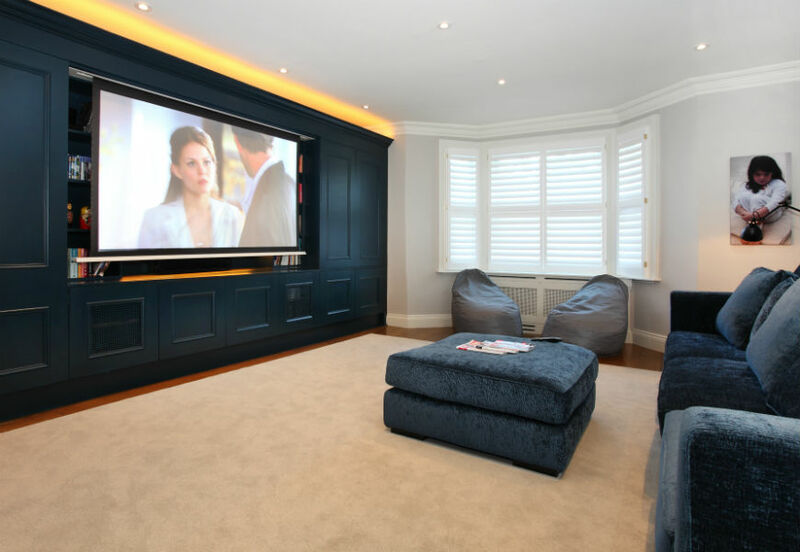 A projection screen is housed in the units allowing the room to be used either as a TV or Cinema room.